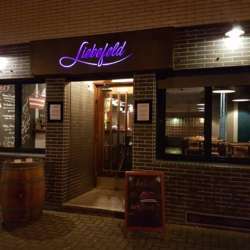 Come with us to a newly opened bar "Liebefeld" in the Stammstr. 2a, directly located at the train station Cologne-Ehrenfeld, next door to Balloni and discover the refurbished vintage-atmosphere of this hipster-bar, which belongs to the same owner as the Stapelbar. Meeting up on this "Green Thurstday" just before Easter will allow us to stay there until early night hours and to get together with a welcome drink. In case of good weather we could even stand or sit outside in front of the bar. We'll be happy to welcome you there in a recently for InterNations acquired venue to share our time with you!